At the Cute Potato house, the team likes to open boxes from the attic and rediscover the small Easter gifts we packed away the spring before. We found these tiny, paper cut-out gift bags at Wilbur’s in Freeport last year. 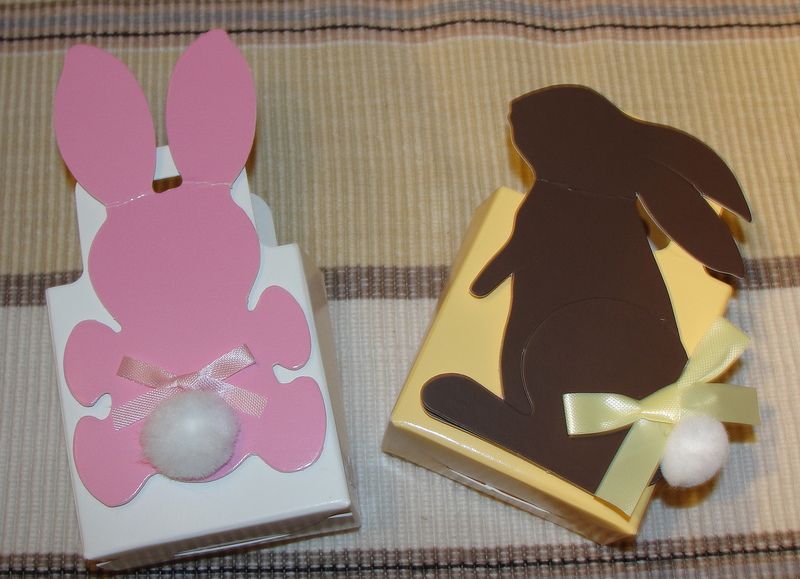 Each came filled with chocolates, but now you can purchase them separately. Tinsel Bright in Gorham is our new favorite gift shop. We love the store’s vintage appeal (think Maine’s own Anthropologie, but with better prices). 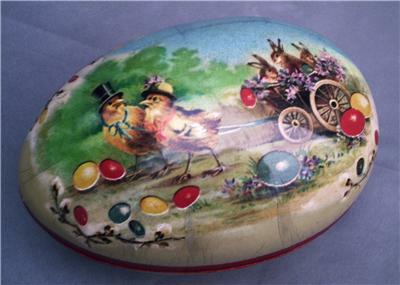 Mom Potato picked up two of these German papier-mâché eggs to fill with jelly beans. 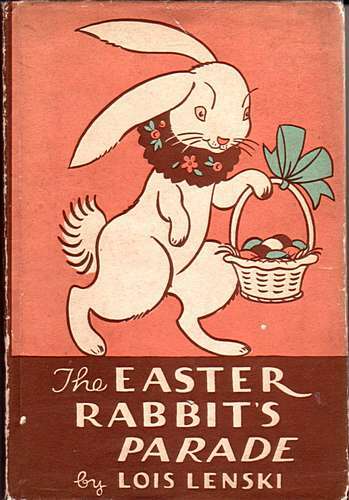 We also found The Easter Rabbit’s Parade by Lois Lenski at Tinsel Bright. Mom and Dad Potato love any excuse to buy a new book for the kids, and what better time than a holiday? 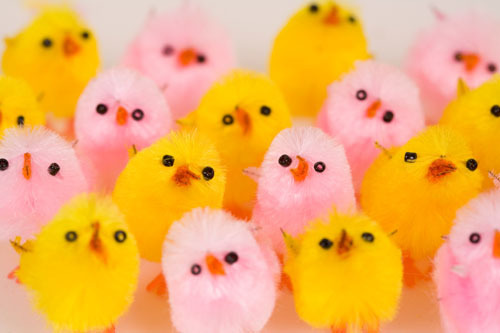 The marshmallow version is yummy, but for little ones, we really like these fluffy chicks. We found ours at Folly 101 in Portland. If you want to splurge on the real thing (and we mean splurge with a capitol “S”), scour your local antique shops. 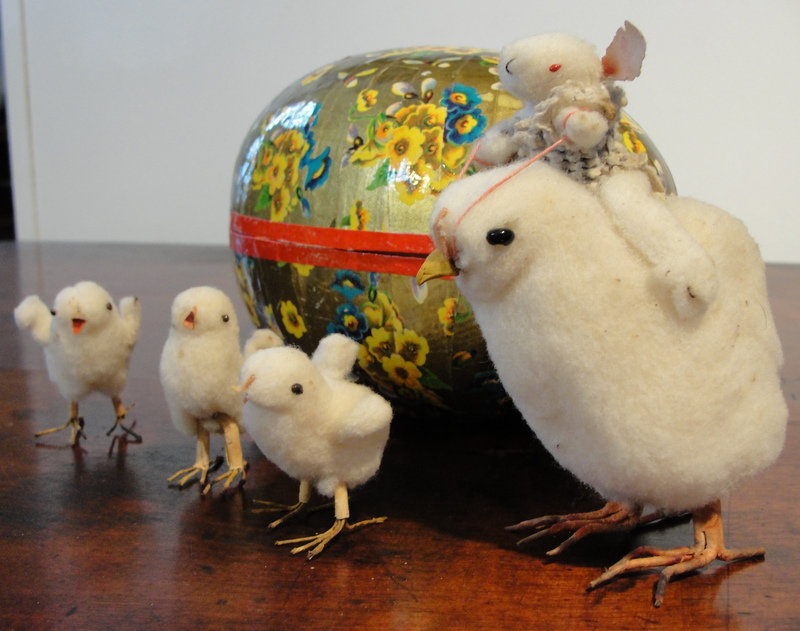 We found this Victorian-style egg and sweet little chick family at Gurley Antiques in Scarborough. Note: Tinsel Bright changed its name to Moulinette Mercantile and is now located in Wiscasset.